Can Cakewalk's radical rethink of the DAW user interface tempt users of competing products into the Sonar fold — without alienating existing fans? Sonar X1 introduces a slick new interface framework called Skylight. Here you can see the five main components: the Control Bar at the top, the Track View in the middle, the Inspector to the left, the Browser to the right, and the MultiDock at the bottom. Ten years ago last January, Cakewalk introduced the "next generation” successor to their eponymously named Pro Audio series of music production software for Windows. 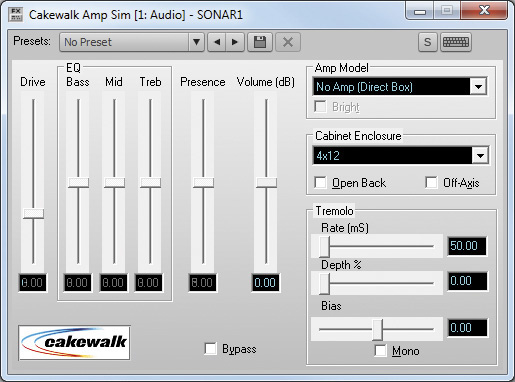 Amongst a host of other features, Sonar sported a new user interface, and support for both Microsoft's then‑new WDM audio driver technology and DirectX 8, which finally allowed effects parameters to be automated. Cakewalk also introduced the DirectX Instrument (DXi) plug‑in format as a Windows‑only answer to Steinberg's cross‑platform VST (a technology decision that arguably makes even less sense in hindsight). At this year's Winter NAMM show, Cakewalk were showing a completely new Sonar: Sonar X1. Released in December, Sonar X1 is a re-imagined version of Cakewalk's flagship application that takes the existing technology and features of Sonar 8.5 as a foundation and builds on top a new user interface and workflow. There are new editing features, new mixing and automation features, and a new browser that makes it easy to drag and drop effects, instruments and audio files into your project. Before continuing with this review, I should mention that while I have, on occasion, dipped my toe in the Sonar waters over the years, our relationship has never achieved the same level of intimacy I've shared with other music software. We've exchanged numbers a few times, sure; but neither Sonar or myself were somehow able to return each other's calls. So while the main focus of this review is to discuss what's new in Sonar X1, it's also written with the non‑Sonar devotee in mind: for someone who might be familiar with similar products but wants to learn what this new version of Sonar might have to offer. Without wishing to be rude, I've always found Sonar's user interface — especially in recent years — to be somewhat malefic to the music‑making process. I'm sure it was great for acclimatised users — in much the same way evolution has made extreme weather tolerable for polar bears — but the combination of an old‑school Windows interface with an ugly sea of cryptic icons made the program less than inviting to the uninitiated. So it's both particularly welcome and perhaps no surprise that the most significant new feature of Sonar X1 is a completely revamped user interface, dubbed Skylight. Initially, I thought Skylight sounded more like an apocalyptic TV science-fiction show. But after some initial scepticism, I realised that the word 'improvement' really doesn't do justice to the superiority of this new interface framework, at least compared to its previous incarnation. As has become de rigueur in modern music software design, everything appears a little darker; but beyond aesthetic adjustment, Cakewalk have also rethought the organisation and presentation of nearly every aspect of the program. The result is a cleaner, crisper‑looking interface that's clearly taken some inspiration from recent updates to Logic and Pro Tools, which is no bad thing. The original Sonar, like most other music software on the Windows platform, employed what's known as the Multiple Document Interface, or MDI. There was the main Sonar application window, and all the other Views — such as the Track, Piano Roll, or Console Views — appeared in so‑called 'child' windows within the main window. This double‑glazed, window‑within‑a‑window approach was originally designed for applications like Microsoft Word, where you would have multiple 'documents' open within a single application window. Even Microsoft abandoned MDI in more recent versions of Word, while an application like Sonar could easily become cluttered with so many different Views and windows open simultaneously. The onus was always on the user to clean up the mess. Skylight largely eschews MDI and streamlines Sonar's user interface, presenting a modular approach where different Views can be docked and organised together within a single window. The only time when you realise MDI is still lurking is if you have multiple projects open simultaneously. There are five key elements to the Skylight interface: by default there's the Control Bar at the top, the Track view in the centre, the Inspector to the left, the Browser to the right, and the MultiDock at the bottom. All of Sonar's different Views can be manipulated within these five main areas, and this turns out to be quite a flexible framework. With the exception of the Track View, every Skylight element can be either docked into the main window, as it is by default, or turned into a floating window. This gives you quite a degree of customisation, which could be especially useful if you want to adapt your habits from other programs. If you're coming from Logic, for example, and would rather see the Control Bar along the bottom of the screen, you can dock it there instead. If you're a Live user and would prefer the Browser on the left, that's also possible. And if you have multiple monitors and like to have everything except the Track View floating on a different screen, you can do that too. Such flexibility is great, but Skylight is more than just a consolidation of Sonar's existing user interface Views, as we shall see. The Control Bar is essentially a souped‑up, ribbon‑like toolbar, coalescing transport controls alongside quick and clear access to Sonar's core editing controls (see 'Making The Edit' box). Unlike the previous Sonar toolbar, the controls on the new Control Bar are neatly organised into Modules. There's the main Transport Module, which contains familiar transport buttons and displays, showing the current Now Time (in Sonar parlance) alongside tempo, time signature and audio settings. But there are also Modules for setting the current loop, configuring Sonar's ACT control-surface handling, synchronisation, and more. As with Pro Tools 8, you can both decide what Modules you want to be visible (via a pop‑up menu) and the order in which they should appear (by dragging them around), though personally I've never understood how being able to relocate such things really helps. However, unlike Pro Tools — and, particularly, unlike the annoying, ever‑present Transport Bar in Logic — you can toggle the visibility of the Control Bar, which is great if you're working on a system with less visual real‑estate. The only extra thing I wish Cakewalk would add, since the developers have already thought of pretty much everything else, is a condensed mode that keeps only the most commonly required controls in the Control Bar. This would be a neat compromise to reduce the vertical overhead while keeping certain controls visible. The Control Bar can be toggled by simply pressing the 'C' key, which is very convenient indeed. 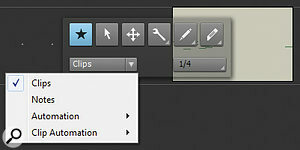 But existing Sonar users might be wondering: if the 'C' key toggles the Control Bar, how do you switch to the Split Tool? Another aspect of the user-interface overhaul in Sonar X1 is a complete rethink (and reassignment) of the keyboard shortcuts. Although this will inevitably be a pain for Sonar veterans, the new shortcuts definitely make things more accessible, especially for new users. For example, 'C' toggles the Control Bar, 'P' opens the Preferences, and so on. And, where possible, the shortcuts are 'clustered' so that the modifier keys offer related functionality to the primary key used in a shortcut. However, as before, these Key Bindings are configurable if you want to change them, and a Legacy Key Assignment preset file is included if you want to revert to the bindings used in previous versions. In addition to transforming Sonar's old toolbar into the Control Bar, Cakewalk have also taken the opportunity to revise a related part of the user interface: the menu bar. Rather than having all of the program's commands accessible from a single, monolithic menu structure, Sonar X1 introduces local menus to a number of Views, which turns out to be very welcome indeed. As a result, additional cryptic toolbars have been eradicated from the editing Views, making Views such as the Piano Roll, Staff and Event List significantly cleaner and much simpler to work with. The new Inspector can show two Channel Strips side by side: one for the selected track, and the other for a related bus, such as a send destination or output. Notice also the Track Properties page at the top. The Skylight Inspector in Sonar XL is a big improvement over its predecessor, adding an appreciable clarity alongside new functionality. Taking a cue from Logic, the new Inspector can display two Channel Strips at the same time: one for the selected track, and, in the case of audio tracks, one for an associated bus. By default, this will be the Channel Strip representing the bus to which the selected track is routed, but you can also switch it to buses used for send effects. If a MIDI track is selected, the extra Channel Strip is used to display various MIDI processors, such as a 'Snap To Scale' pitch-quantise mode and an arpeggiator. If you're new to Sonar, the fact that each MIDI and, indeed, instrument track has a built‑in arpeggiator should tell you something about the fun you can have manipulating note data with the program. And speaking of instrument tracks, if a track of this type is selected, you can toggle between its audio and MIDI Channel Strips by clicking the appropriate tab at the bottom of the Inspector. Like the Control Bar, the Inspector has a few neat tricks up its sleeve. Firstly, you can resize it to show only a single Channel Strip if you wish. And, in addition to showing Channel Strips, the Inspector can also display the ProChannel for the selected track (see 'ProChannel Spotlight' box) or the relevant Clip and Track Properties if you toggle the Clip or Track buttons at the top of the Inspector. This is obviously a big improvement over having to open separate dialogue windows to work with these properties, as was the case in previous versions. However, displaying Clip or Track Properties does set the width of the Inspector back to the default size of two Channel Strips, making the idea of the single‑Channel‑Strip‑sized Inspector somewhat pointless in practice. On the plus side, you can at least collapse or open the Inspector easily by pressing the 'I' key. Much like Logic's Media area, Sonar X1's Browser has a number of tabbed Views: Media, Plug‑ins and Synth. The Media View is a cleaned‑up version of Sonar 8.5's Media Browser, and the Synth View is the old Synth Rack View that shows a list of all the instrument plug‑ins used in the current Project. The good thing about the Synth Rack View, compared with, say, Cubase's VST Instrument window, is that it shows all the instruments used in the Project, regardless of whether they are hosted by instrument tracks or simply fed by one or more MIDI tracks. However, I have to confess that I find this View a little quirky. The Browser gives easy access to different elements you have added or want to add to your project. Here you can see the list of plug‑in effects available, which can be dragged and dropped from the Browser into the project. To start with, there's something of a disconnect between the Track View and Synth Rack View. If you select an instrument in the Synth Rack View, the appropriate track for that instrument will be selected in the Track View. So far, so good. However, this association doesn't work the other way around: selecting tracks in the Track View will not select the connected instrument in the Synth Rack View, which can be annoying if your project contains multiple instruments of the same type. Such detachment also means that if you delete an instrument track in your Track View, the instrument remains in the project. And while you would imagine there might be an option to 'link' a track to an instrument for this type of operation, I couldn't find one. These two — albeit minor — points aren't new in X1, however; the interaction between the Synth Rack and Track Views is the same as in the previous version of Sonar. According to a spokesperson for Cakewalk, this behaviour is intentional. However, to me, it does seem like something of a missed opportunity to further improve the functionality of instrument tracks. Another slight gripe is that certain control assignment modes for instruments in the Synth Rack View are not available if the View is docked in the Browser, which is its default position. This runs counter to the otherwise convenient nature of Skylight, because while I understand that the Assigned Control area makes the Synth Rack View more horizontally capacious, I'd rather temporarily resize the Browser instead of having to undock it (or dock it somewhere other than the Browser) for certain functionality to be accessed. Last but not least, in the line‑up of Browser tabs, the Plug‑Ins View is a Live‑esque list of the plug‑ins installed on your system, divided into four categories — Audio FX, MIDI FX, Instruments and ReWire — each accessible via a series of buttons. This makes it a piece of cake to add plug‑ins to your project. If you want to create a new instrument track, simply drag an instrument plug‑in to an empty spot on the Track View. If you want to add an audio or MIDI effect plug‑in to a track, simply drag it into that track's space in the Track View and the effect will be added as an insert. Very convenient, and much more pleasant than navigating pop‑up menus. The only slight oddity is that if you drag an tnstrument into an existing track space, it will be added as an insert, which seems a little pointless, as I'm not sure there are many common situations where you would want that to happen. More likely is that you would want to replace an existing instrument. One really nice feature of the Plug‑ins View is a search field, which is incredibly useful if you have a large number of plug‑ins installed. Rather than having to find a plug‑in from the list, you can simply start typing its name. As you type, the list automatically updates to show plug‑ins with names that match your search criteria; and once you've found the required plug‑in, simply drag it into the Project. The MultiDock allows you to switch between different open Views without taking your eyes away from the Skylight interface. Here you can see the Piano Roll View open in the MultiDock, and note the new Local View menu along the top. Along the bottom you can see tabs that represent the number of open Views that have been docked. The final component in the Skylight interface framework is the MultiDock, which replaces the Tabbed View found in the prior Sonar incarnation. The MultiDock is basically a way to incorporate Sonar's other Views, such as the Console (mixer), Step Sequencer, Piano Roll and so on, into a single‑window framework. By default, most views open in the MultiDock; and, as more views are opened, so new tabs become added to the bottom of the MultiDock, allowing you to easily switch between open Views by clicking the appropriate tabs. The MultiDock is vertically resizable, making it possible to see more of the current View; but, perhaps more conveniently, you can toggle the size and visibility of the MultiDock with two keyboard shortcuts. Pressing 'D' opens and collapses it, while Shift-D maximises or restores the MultiDock to its original size. But once the MultiDock has been maximised the first time, you can then open and close the maximised MultiDock with just the 'D' key, which is rather handy. One slight anomaly I found with the MultiDock is that if you undock a View by right‑clicking its tab and selecting Undock, the View opens as a child window, making it impossible for it to float on top of the Skylight interface without returning you to the wonderful land of the MDI with its overlapping windows. While this could be fine for some Views (say, the Piano Roll View), for Views such as Video and Big Time it would be useless if the choices were simply 'docked' or 'MDI' — in the old Sonar, the Video and Big Time Views used to open in floating windows by default. Fortunately, however, if you undock a View from the MultiDock by dragging it out of its boundaries rather than using the pop‑up menu command, the View opens in a floating window, keeping the maximised Skylight window intact. This behaviour is also intentional, according to Cakewalk, since some users apparently prefer the old MDI approach. However, this being the case, I feel that offering two, transpicuous menu options would perhaps be better: 'Undock as MDI' and 'Undock and Float'. This way, you could better understand what was going to happen to a View, especially if you're new to Sonar. Despite a couple of minor quirks, Skylight is quite a well‑thought‑out user interface. It solves many of the problems associated with applications that require the user to juggle a number of different windows, but not at the expense of flexibility, as is sometimes the case with largely single‑window approaches. Some of the ideas — notably the general layout and the local View menus — seem familiar from Logic Pro; but where Logic's main window is pretty much fixed and allows minimal user configuration, Skylight is far more malleable. From an aesthetic perspective, while Skylight might, at first glance, not have quite the visual slickness of similar products, I think this is partly due to the fact that Cakewalk have opted to make the interface controls slightly larger than they are in most other programs. In some ways, this is a good thing; someone at Cakewalk with a high‑resolution display has clearly heard about Fitts' Law, and they have made most controls easy to click with the mouse cursor. But it does mean that navigating large Projects can be a little more fiddly. For example, running Sonar X1 on a 30‑inch display with the Control Bar visible but the MultiDock collapsed, I could view 54 tracks simultaneously in the Track View using the smallest vertical zoom setting. However, with the same system running Cubase or Nuendo, I can view just over double that number of Tracks (110), even with the newer, larger Event Infoline visible. If Cakewalk could add a 'reduced height' Track View, it would be helpful for those who work on large Projects, especially those with orchestral palettes of considerable girth. 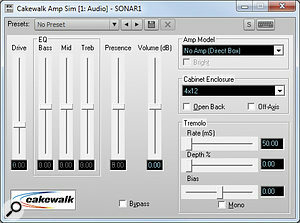 Although Skylight is, without a doubt, Sonar X1's headline feature, it's not the only new feature Cakewalk have added. In addition to the Console View itself being redesigned, there is also some new mixing functionality, such as the aforementioned ProChannel (see 'ProChannel Spotlight' box), improvements to automation editing, and a new feature for building macro effects, called FX Chains. An FX Chain, as the name suggests, is a chain of effects plug‑ins that appears as a single entity. For example, say you have a reverb plug‑in followed by a chorus on a channel, and you want to reproduce this same combination of plug‑ins on a different channel. Previously, you'd have had to reinsert these plug‑ins on the new channel, and then make sure the settings were the same for both the reverb and chorus effects individually. Using an FX Chain simplifies this process immensely, making it possible to store the same reverb‑chorus effect as a single entity that remembers not only which plug‑ins were used, but also retains the state of those plug‑ins. And since FX Chains show up in the Audio FX section of the Browser, you can add an FX Chain to a channel's effects bin just as you would any single plug‑in. The FX Chain bin allows you to build composite effects in the same way you would normally add plug‑ins to the effects bin. 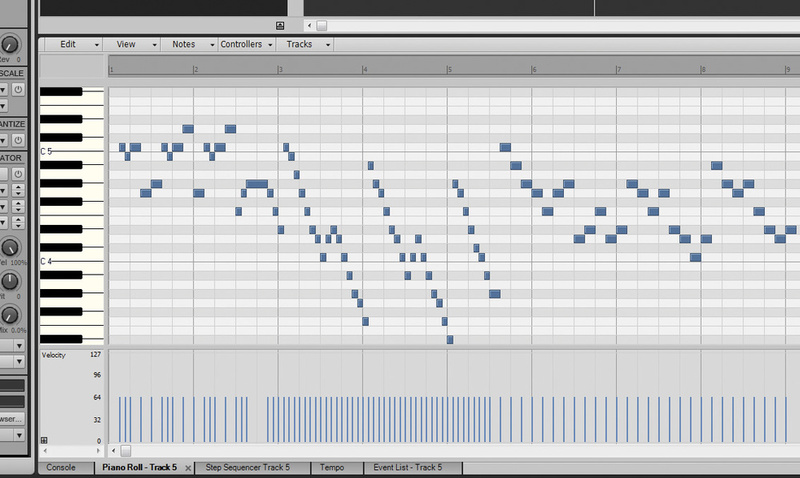 You can even drag and drop effects from the browser to an FX Chain bin. Creating an FX Chain is simple. 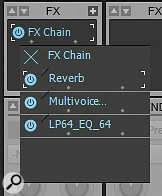 Just right‑click in a channel's effects bin and select FX Chain from the pop‑up menu. An FX Chain bin pop‑up window will appear, and functions just like a standard effects bin, except that it automatically resizes as you add effects. Alternatively, you can create an FX Chain from an existing bin by right‑clicking and choosing the 'Convert Bin to FX Chain' command. FX Chains are a welcome addition to Sonar, and although the basic idea is similar to the channel preset features found in other programs, Cakewalk's solution offers much more flexibility. 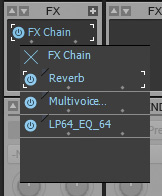 One example of this is that, since an FX Chain appears as a single effect, you can use multiple Chains within a single effects bin, which is a big advantage. As with other areas of Sonar, the Console window has also been redesigned in X1 and, like those other areas, it too looks much cleaner than before. However, I do have a few criticisms. To start with, although the effects bins have been made larger in X1, so have the items within them. This means that whereas you could see four effects in a bin without having to scroll in Sonar 8.5, now you can only see three. And really, what's with having to scroll to see all your insert plug‑ins anyway? On a large display you end up with quite an amount of grey space at the top of the Console if it's maximised — plenty of space for the effects bin to grow into, if only this were possible. Similarly, as with 8.5, only two sends are visible on a channel — and the second send slot is even hidden by default in X1! So if you want to access the settings for your other sends, you again have to use tedious scroll buttons. 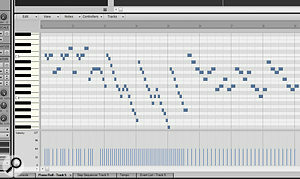 And, worse still, there doesn't seem to be a way to sync the scrolling of sends across multiple tracks. If I want to see the third send on all channels, I have to manually click the send scroll button of each channel individually. According to Cakewalk, this is a bug, and it will indeed be possible to link the display of sends across multiple channels via Quick Groups in a future update. And finally, while I'm on my soap box: unlike in Sonar 8.5, it's no longer possible to rearrange the order of channels on the Console. Instead, you have to return to the Track View, move the track there, and then return to the Console. However, there's some good news here: a spokesperson for Cakewalk told us that it will again be possible to drag channels on the console in the forthcoming X1B update, which may appear soon after this review is published. At the end of the day, Sonar X1 doesn't so much add new features as provide new ways to use the existing functionality. This actually turns out to be a good thing for new and existing users alike. Old hands get a more flexible way to use the features that drew them to the application in the first place, while Sonar neophytes get an appealing and attractive user interface that's pleasing to the eye and makes the program easier to learn and understand. The only slight down side is that the emphasis on Skylight means that the core feature set hasn't changed all that much since the last version of Sonar (8.5) was released over a year ago. This observation isn't intended to dismiss the improved workflow or the significant mixer improvements; after all, if you have certain goals for a release, there are only so many developer hours in a day. But I'm sure there will be many long‑time Sonar users out there with long‑standing requests who would like to have seen different issues addressed. For example, on the video front, the fact that there's still no support for 23.98 frame rates seems a little curious at this point in time. On the whole, I found the program to be pretty stable, and most occurrences of misbehaviour were slight interface anomalies. Occasionally, Views would open as Windows rather than in the MultiDock even if they were last used in the MultiDock, or the button to add extra Controller Panes in the Piano Roll View would be missing until the Controller Pane was resized — that kind of thing. However, Cakewalk released the first X1A update in late December, and this ironed out many of the creases found in the initial release. Hopefully X1B will be along soon to continue the good work, and one can be reassured by the fact that there are plenty of letters left in the alphabet. It perhaps goes without saying that if you're an existing Sonar user and you like working in 8.5, you're probably going to love X1. A more interesting question to answer is whether or not Cakewalk have done enough to attract newcomers to the Sonar fold. In terms of the competition, from my perspective, it seems that Sonar now sits somewhere between the programs that cater for the more electronic‑oriented musician — such as Live and Record — and more traditional sequencers such as Cubase and Logic. Because, while X1 doesn't have some of the sequencing sophistication found in Cubase or Logic, Cubase or Logic don't have features quite like Sonar's Step Sequencer, Matrix View or Pro Channel, which one might expect to find in, say, Live or Record. So, by way of summing up, Sonar X1 is a huge step forward for Sonar, and I think Cakewalk will almost certainly succeed in attracting new users. If you're a Windows user and haven't found a music production application that quite suits your taste, Sonar X1 might just be the flavour for you. Sonar X1 Producer's ProChannel aims to bring the big console sound to your desktop, with classic compressors, a versatile EQ, and a tube saturation stage. Here you can see ProChannel open on the Console View, but you could also access it via the Inspector. Note the mini ProChannel controls in the main Channel strip as well. Following in the footsteps of Propellerhead, whose Record program comes with a classic SSL‑styled mixer, Cakewalk have added console‑like channel‑strip effects to Sonar X1 in the form of ProChannel. Hardwired into every audio‑based channel, meaning you don't need to add or open a plug‑in to access its controls, ProChannel provides a compressor, EQ, and a tube saturation stage for good measure, all designed to mimic the sound and behaviour of classic studio outboard gear. The compressor has two modes: 1176, er, I mean PC76; and the SSL 4000 master bus compressor — cough — PC4K. These are not identical to their inspirations, although the PC76 does include an 'all button' mode, but are eminently usable and easily the best‑sounding compressors supplied with Sonar. A nice touch with the PC4K mode is the inclusion of a side‑chain (which shows up as an audio output bus destination when enabled) with a high‑pass filter, and a dry/wet control. Activate it on your Master Channel and enjoy. The EQ is a pretty standard four‑band parametric implementation, with the high and low bands offering shelving modes, and there are high‑ and low‑pass filters thrown in as well. Three 'styles' of EQ are available — pure, vintage, and modern — and, according to Cakewalk, they provide different interactions between the Q and Level settings. Pure is the cleanest, most transparent setting, and was the one I generally preferred for most types of material. However, if you want to add a little extra character to the sound beyond these styles, there's also a Gloss button that apparently applies a special 'gloss' filter, whatever that is, to smooth out any high‑end harshness and make it a bit more analogue. Finally, the tube saturation stage offers two saturation types: a pure tube emulation, and a dual‑tube emulation for where you'd prefer slightly gentler saturation of the high frequencies. The three knobs, as you would possibly expect, control the input and output levels as well as the drive, and are capable of dialling up some pretty nice results. Despite its diminutive appearance, the tube saturation stage is capable of adding anything from gentle warmth to full‑on gritty nastiness. A further section of ProChannel allows you to set the routing of the three modules, making it possible to change the order in which each module processes the signal. Usefully, it's also possible to set whether the ProChannel's processing occurs prior to the channel's effects bin (which is the default) or after it. ProChannel is accessible via the Inspector or Console Views; and on the Console View, it is displayed to the right of a Channel, making it possible to have multiple ProChannels open simultaneously. Conveniently, even if the full ProChannel interface isn't visible, a few additional controls are accessible from the Channel Strip to enable or bypass the individual components, or even adjust a miniature version of the EQ curve. ProChannel is only available with the high‑end Producer version of Sonar, but it's nice to have and seems reasonably CPU‑efficient for something you might employ on a number of channels. The new Heads Up Display (HUD) provides easy access to Sonar X1's revised tools. And if opened in a track's lane in the Track View, and Edit Filter pop‑up menu for that track is also available. 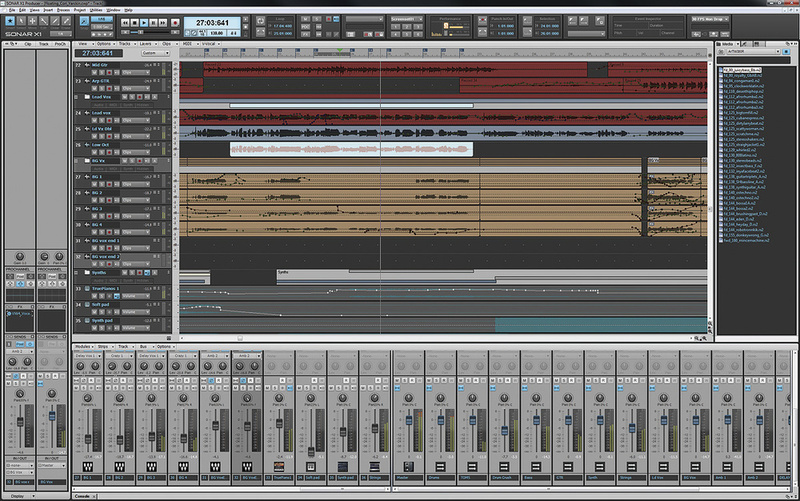 To complement the new Skylight interface, Cakewalk's developers have also reworked and consolidated a number of Sonar's editing techniques. 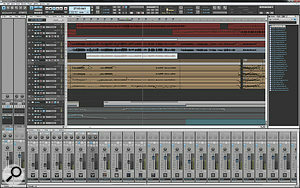 Like most music software, Sonar has always provided a series of tools to carry out certain editing tasks. But unlike many other programs, Sonar's tools forced the user to adopt a predominantly modal, right‑tool‑for‑the‑right‑job editing mentality, where similar tools from one View had confusingly different behaviours in others. For example, the Track View's Select tool could be used to select and move Clips, and also to change the start and end points of Clips if the mouse cursor was positioned over the appropriate 'hotspot'. However, in the Piano Roll View, the so‑called PRV Select Tool would, by default, only select and move events; you'd have to hold down the Alt key to temporarily invoke the behaviour of the PRV Draw Tool for other editing tasks. And if you were really brave, you could configure the conduct of the PRV Tools using the PRV Tool Configuration window, though I wonder how many Sonar users actually bothered to do this. Fortunately, the tool situation is very different in Sonar X1, and, perhaps most significantly, the behaviour of tools is now consistent across all Views. The Tools Module in the Control Bar shows the currently selected tool and provides access to the others, although tools can also be selected using the Function keys or via the new Heads Up Display (HUD). The HUD is a pop‑up version of the Tools Module that appears near the current position of the mouse cursor, and can be opened using the middle mouse button (if your mouse has enough buttons) or by pressing 'T'. One particularly interesting note about switching tools via the Function key shortcuts is that you can temporarily summon the behaviour of a given tool by holding down the relevant key, but not letting go until after you've performed the appropriate edit operation. Once you're done, releasing the key will return you to the originally selected tool, which is kind of neat. In addition to making the tools more consistent and accessible in X1, Cakewalk have also made tool‑based editing easier in X1 with the introduction of the new Smart tool, which consolidates the functions of as many tools as possible into a single tool, whose behaviour changes based on where the mouse cursor is placed and what keyboard modifiers are held down. This makes it possible to invoke the split function, for example, simply by holding down the Alt key with the Smart tool selected, rather than having to switch to the Split tool and then back to your originally selected tool again. A big improvement. Another new feature that makes certain editing tasks simpler in Sonar X1 is the Edit Filter. Rather than having all types of data editable at once, as before, you can now use the Edit Filter, which is available on a per‑track basis, to select what type of data you want to edit on any given track in the Track View. Each Track's Edit Filter is set to Clips by default, allowing you move and edit Clips; but you can also select Audio Transients (for audio tracks) or Notes (for MIDI and instrument tracks), or any of the available automation parameters for a track. As you can imagine, this makes dealing with automation significantly more convenient than in the previous version of Sonar. One particularly neat feature of the Edit Filter is the number of ways you can set the type of data to which the Edit Filter allows access. Each track has an Edit Filter pop‑up menu, for example. But if you open the HUD with the mouse over a track's lane in the Track View, a duplicate Edit Filter pop‑up menu will appear in the HUD. And because Sonar still shows all the various types of data, another neat way to select what type of data you want to edit is to Shift‑click an event for a different type. Sonar is one of the only programs of its kind that doesn't display automation data for different parameters on different lanes, and even though Cakewalk still haven't provided this type of functionality in X1, the Edit Filter certainly makes life easier for both experienced and non‑experienced Sonarians. Sonar X1 is available in three flavours to suit different budgets and requirements. The everything‑but‑the‑kitchen‑sink version is labelled Producer, while the mid‑range and entry‑level versions are known as Studio and Essential respectively. The core X1 program is basically the same in all versions, except that only Producer offers the ProChannel, while Essential lacks Audio Snap editing, V‑Vocal, surround sound support, only runs as a 32‑bit application, and offers a maximum of 64 audio tracks. The biggest difference between Producer, Studio, and Essential is in the collection of bundled instrument and effects plug‑ins. All versions include the basic 'Half Rack' and Cakewalk DSP‑FX collections, covering bread‑and‑butter processors such as dynamics, delays, reverb, chorus and so on. These are fine, but are pretty long in the tooth these days, with some specimens dating back to the pre‑Sonar Cakewalk Pro Audio days. A little better are the Sonitus:fx plug‑ins, which were acquired by Cakewalk back in 2004 from Ultrafunk. The full suite of these so‑called 'S‑Series' effects is included with Producer and Studio, while Essential users get only the EQ and Reverb. For guitarists, Essential and Studio provide IK Multimedia's Amplitube X‑Gear plug‑in, whereas Producer users get Native Instruments' Guitar Rig 4 LE instead. Some of the more recent Sonar plug‑ins, the 'T‑Series' Tube Leveler and Transient Shaper effects, are welcome additions to the Studio and Producer packages, while Producer also comes with the Perfect Space convolution reverb, based on technology from Voxengo, developers of the Pristine Space plug‑in. When it comes to instruments, there are perhaps a few more offerings to get excited about. Essential users get Cakewalk's Studio Instruments plug‑ins — one each for bass, drums, electric piano and string sounds — and there's also Dimension LE, a junior version of the Dimension Pro workstation‑like instrument, offering sample and synthesis playback with effects, REX support and a library of patches to get you going. Some of Sonar's older instruments are also present, such as Cyclone, Dreamstation, RGC Audio's Square I and Roland's TTS1 sound module and GrooveSynth. Studio owners also get the full complement of RGC plug‑ins (Z3TA+, PSYN II, Pentagon I and SFZ+ Pro) and Rapture LE, a light version of Cakewalk's highly modulatable synth. Finally, those who purchase Producer also receive the full version of Dimension Pro, with its 1500‑preset library, plus Beatscape, a drum machine with loop‑creation abilities, Session Drummer 3, and TruePianos Amber. Overall, Sonar X1's included instruments and effects are a bit of a mixed bag. There's some good stuff included, of course; but there also seems to be a lack of consistency in terms of quality and user experience. Although it's great that Cakewalk include the older plug‑ins for compatibility, one can't help thinking that there seems to be a great deal of overlap between the sample‑playback instruments. If you wanted to employ a simple sampled piano sound, for example, it might not be immediately obvious what instrument should be opened. In judging Sonar's instruments and effects, it's interesting to make comparisons with the competition. For example, while Logic also has some older effects and instruments that have been around since Logic 4 was launched in 1999, Apple have at least maintained the user interfaces to keep them consistent with more modern offerings, making it easy for new users who started using Logic more recently. Avid arguably had a similar consistency problem before the release of Pro Tools 8, but used the company's AIR (Advanced Instrument Research) division to develop a new set of bundled instruments and effects. This saved the company from having to license technology or cut‑down versions of products from other companies, and it seems Cakewalk really need to consider doing something similar at this point to build on the acquisition of RGC Audio some years back. Although there has obviously been some collaboration in the past, since Cakewalk are now 'Cakewalk by Roland' an outsider might be permitted to assume that the latter could be a big help to the former in this department. Some of the user interfaces for Sonar X1's bundled plug‑ins are starting to show signs of age. Despite the criticism, it's only fair to also point out that Sonar's price points are generally less than the competition. Sonar X1 Producer has a retail cost of $399, which is $100 less than Cubase or Logic and $200 less than the software‑only version of Pro Tools 9. So if you're starting out, you can always put the change towards some third‑party sound libraries, instruments or effects. Skylight provides a flexible user‑interface framework that should be welcomed by newcomers and existing users alike. Common editing tasks are so much easier thanks to the re-thought tool behaviour. The track‑based Edit Filter simplifies automation editing. The bundled plug‑ins seem inconsistent in both quality and use. Some aspects of the program are less raffiné than the competition. Cakewalk have redesigned their flagship music production software, and, in doing so, made Sonar better for both seasoned hands and newcomers. X1 Producer £389.99; X1 Studio £195.99; X1 Essential £89.99. Upgrade from Sonar 8.5 to X1 Producer £89. Prices include VAT. X1 Producer $399; X1 Studio $199; X1 Essential $99. Upgrade from Sonar 8.5 to X1 Producer $99. Cakewalk +1 617 423 9004. PC with dual quad‑core X5355 2.66GHz Intel Xeon processors, 16GB memory and Nvidia Quadro FX 1700 graphics, running Windows 7 Ultimate 64‑bit, with RME Hammerfall DSP 9652 audio card.